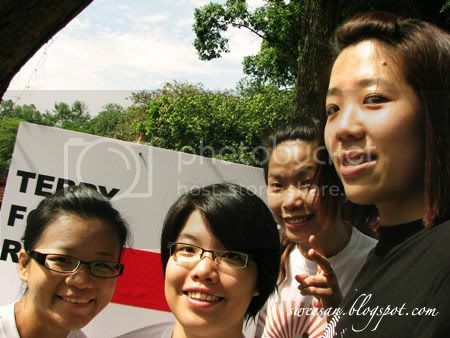 Anyway I went for Terry Fox Run this morning in Taman Tasik Perdana. The Terry Fox Run is an annual non-competitive charity event held in numerous regions across the globe in commemoration of Canadian cancer activist Terry Fox, and his Marathon of Hope, and to raise money for cancer research. This is the 19th year that it’s held in Malaysia and let’s hope there’re more to come. This year, the shirt was even bigger!! 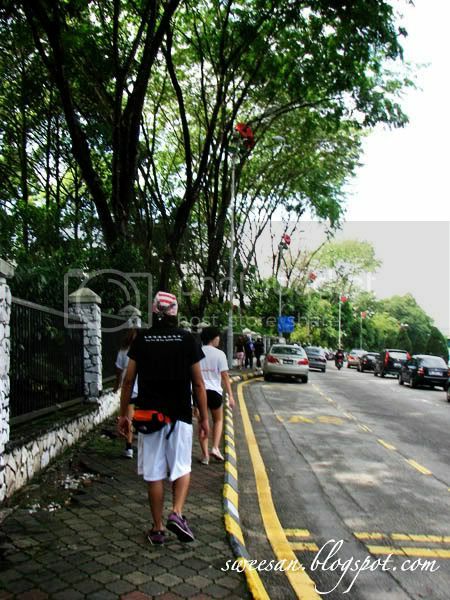 No sizes left and didn’t manage to get them earlier..
Last year, it was my first 5k run at that time.. This year, I took the 3.5k, my shoe kinda flapped.. 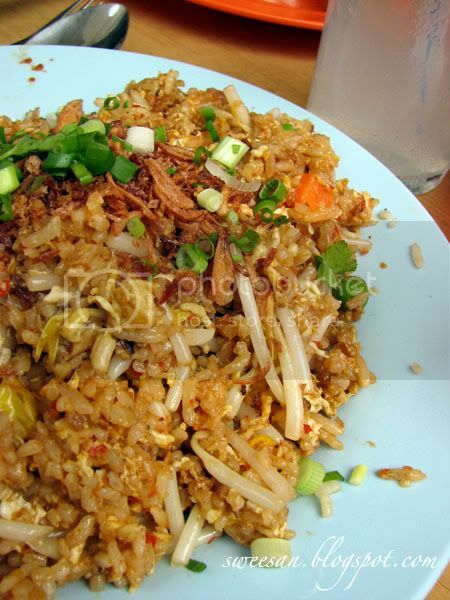 This year, I went to Yut Kee at Jalan Dang Wangi too! 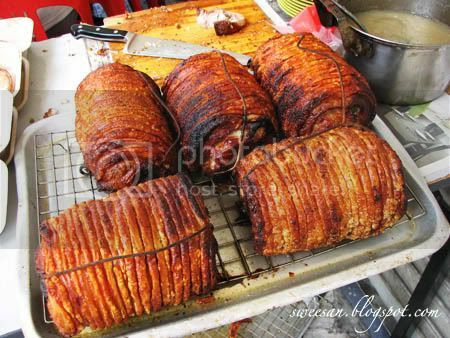 Roast pork !!! it’s RM 100 per roll.. Rm 10 for 2 pieces.. This is new?? While waiting, I could smell pork. Like serious I’m not joking.. when u’re in bah kut teh shops u smell pork.. Here .. 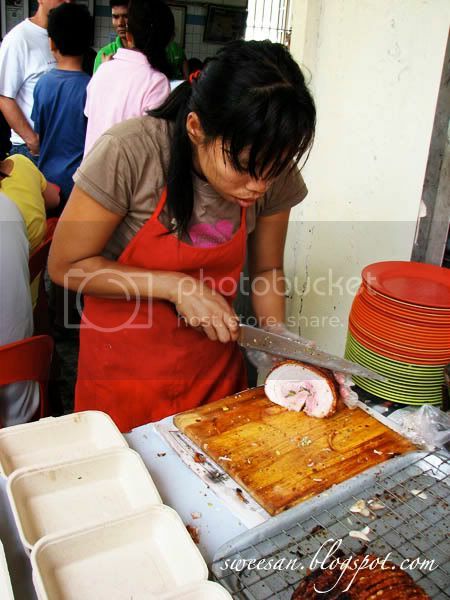 I smelled pork too.. And I could also hear the cracking sound when the lady cuts it slice by slice.. Pig I must have it now! So eco-friendly. U see the brown take away boxes?? I’m guessing they’re the biodegradable ones its almost paper like..!! There were little herb stuffings in it and it was accompanied with apple and white wine sauce. It is not new that apples and pork work so well together, again here, it proves it’s worthiness. 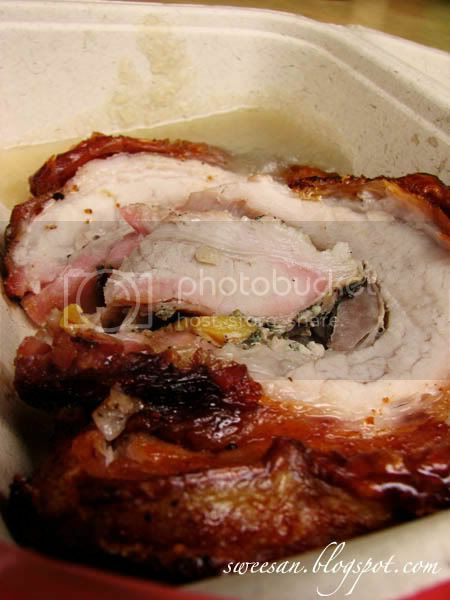 The skin of pork was cracking (kurnch krunch) and the meat was tender, although I wished it would be a little bit jucier but it was good.. nom nom nom..
Last year I tried this and it was like superb. It was spicy and the pungent-ness of the belacan is just there, right under your nose HAHAHA.. this time, it was … not too great..
Pork Chop ala Hainanese Style. 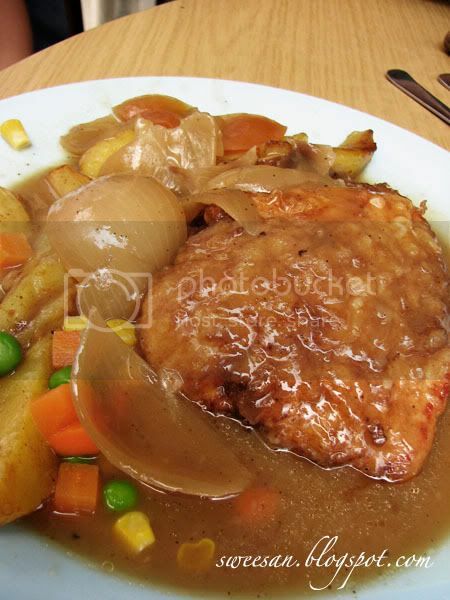 (RM9) The pork is served with sauteed onions, potatos and mixed vege with quite a generous amount of onion sauce. Try it with the Lea & Perrins worcestershire sauce. It’s kinda like malt vinegar made also with anchovies and tamarind so it kinda gives it a smokey homey touch to it. If they have given it a different name, it wouldn’t be so famous I reckon. Like seriously I’m not trying to discriminate or be rude or something.. But people are just curious and it’s good enough to lure them to try it. 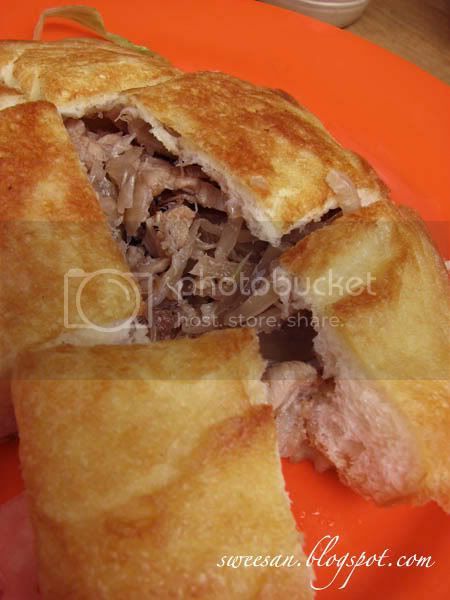 If it was Pork Bread… Hrm.. I’d prefer calling it Roti Babi..
Take the idea of French Toast but instead, stuffed it with shredded pork and lotsa onion instead of peanut butter… yummy!! Yut Kee is also famous for their Kaya and Butter Cake. I haven’t tried it yet but someday, I will!! People are buying boxes of them..BOXES!! Yummmmie, I have been there. Really nice food. Y, yeah luckily we walked earlier for so much pork!!! Jalan, what was your favourite? ?